There are many industries where you can find the use of 3D and they are film when you can use 3D modelling and animations like characters, weapons and monsters. 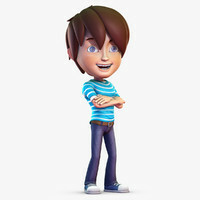 There is also the gaming industry when you model the 3D characters, the whole environment and other assets. The software that people use to model 3D are Blender, Cinema 4D and Maya. The advantages of the Blender is that it is free, it is easy to use, you can With Blender, you can model using a preset basic mesh object: cone, cube, cylinder, sphere, torus, etc. – that you can extrude and reshape. Cinema 4D is not free but you can take your models and animate them for your game and make the animation look really smooth and add colours and materials. with Maya you can also model in 3D. The disadvantages with Maya Cinema 4D is that you have to pay a lot of money if you don’t want to have any problems with copyright. This image was produced for the gaming industries and the environments that the cars are surrounded by is a pitch with 2 goals on each side, the models that are in this image is a car, a football and boosts that you can see on the floor (the orange circles). The product design is for a photo realistic game as you can see the cars look realistic. All you have to do in the game is 2 teams of 1,2,3 or 4 and the team with the most goals in 4 minutes is the winner. 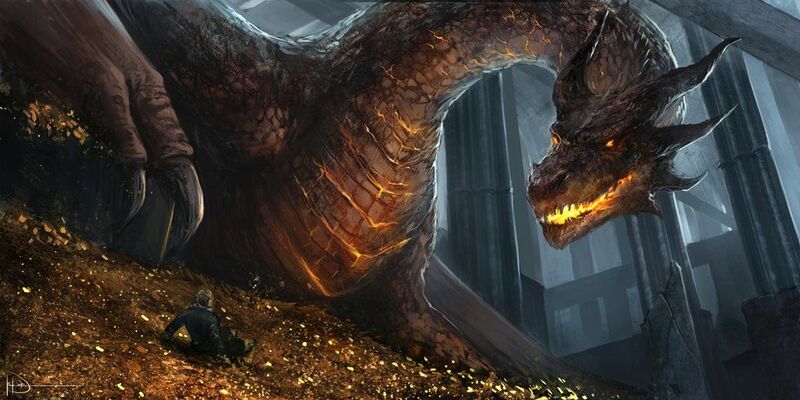 This image of a Dragon was produced for the film industries for a film called The Hobbit. The models is the Dragon and the golden coins. The environment is in a huge temple and it is filled with treasure. It is also dark is some areas of the photo to make the Dragon and the person look a bit more 3D, there is also bright lighting in the middle of the photo to show us that that is where they want us to look. The Geometric theory is a basic object used in mesh modelling is a vertex , a point in 3D for e.g the line out side of the dragon and the outside of the cars in the top picture. A group of polygons, connected to each other by shared vertices, is generally referred to as an element. Each of the polygons making up an element is called a face for e.g the area filled of the dragon and the area of the cars in the top picture. A constraint in your file size in 3D modelling you can have the file size in some amounts of sizes. However that the smallest file size is the best because it can load up quicker, but with the biggest file size you have the most polygons in the save file. if you use a certain render engine to get the best result you will get a longer loading time. The common tools to make 3D models are blender and Cinema 4D they are really good for making 3D models for films, games and animations, for Blender you can add materials for colour and on cinema 4D you can add textures to your models to make them look more realistic. For Blender and Cinema 4D you use 3D shapes like Cube, Sphere and Torus to make them into your model, you do that by cutting them down or Splining or Patch modelling. Point-light: where a model or a environment is lit from three directions in a scene. On the left side of this house there is a point light that focuses onto the ground, it starts from the top part of the house. On the picture on the right is an example of a point light going strait onto a cup. Direct-light: lighting in which the bigger part of the light goes directly from the source of the light to the area that is lit. The picture on the left and right is an example of the lights going onto objects below. Backlighting: a light is placed behind or at right angles to an object, person, or scene to produce such effects as depth or separation of subject and background. These are examples of back lights. On the left picture it actually shows a diagram of where back light usually is and where it goes and on the right it actually shows it in action on a 3d model. Key-lighting: Key lighting is the firs and most important light that makes the object or scene light up. On the picture on the left it also shows where key lighting would be positioned. This is a example of key lighting in action on an actual character model. Fill-light: This is a light used to get rid or soften shadows that are caused by the key light. Also on the picture on the left there is a diagram of where the fill light is positioned. These pictures are examples of fill lighting on characters. On the image to the left there could’ve been a a bit of colour lighting to make it look a bit lighter and more colourful and lighter instead of the characters trousers being a bit darker so the people can actually see what colour the jeans are meant to be. They could’ve added a bit of backlight behind the characters legs so that the whole area would be lit up. The use of textures in 3D is to make the game look more photo realistic and just generally a lot nicer, it also can make the model or image on the screen look more a bit more 3D. Using materials for you 3D model you can add more colour and shading to the image so its easier to visualise the character to what they they would look like in real life. For the image to the right they have used a lot of textures for the skin, trousers, shoes, shirt and hair. They have also used Vector instead of Bitmap because it depends on resolution when Vector doesn’t. They have also added a lot of different colours to the image. Rendering is loading a 2D model into a 3D model. Open GL is a cross-language application interface that interacts with the graphics on your PC. Direct X creates and manages graphics, images and multi effects in applicants. Mesh construction: The way i am going to create my character is by extruding a primitive shape which in my case will be a sphere. for the arms i will be extruding outward then rotate it down, extrude it outwards and then rotate it down again. for the legs its the same process apart from i will be just extruding it strait down until they are long enough. All you have to do is make the object editable so you can resize it and select the face that you will want to extrude (I will not be needing Matrix extrude because the shapes in my character are simple enough to only use inner or outer extrude) once you have resized it all you will have to do is select a face of the primitive shape right click and select inner/outer extrude. Polycount: This is the count of how many faces are on your object that you are trying to model. For games you will have to keep the polycount to as small as you can because then the game will be able to run better and also the render time will be a lot smaller because it will have a lot less to render. You can also use compression to make the poly count a lot smaller which makes the rendering time faster but the disadvantage with this is that it is less detailed which can be bad if you are going for a photo realistic game, also it costs a lot more to render more detail because you will need a decent graphics card approximately around £500. Rendering: This is where you 3d models in programs like Cinema 4d and Blender and finalise the model by making it into a 2d image with a very photo realistic effect with the correct shadings, textures and how smooth the object can be. Ambient Occlusion: This is a way of showing how bright the light should be on a specific part of the object based on the environment e.g if you had a ship on some water, the light reflection from the sun onto the metal of the ship and the reflection of the water can make the light a lot brighter. Global Illumination: This is were it simulates where there is indirect lighting e.g light bouncing. If you had an image on the right and you turn this on as an effect you will see a reflection on the left of the image on the right. You have attempted the 3d environments report with a good degree of understanding of the principles using some good illutsrative examples to explain your points, you make some good observations and this is well documented within your report, in order to improve, you would need to add more on mesh construction giving examples of how they are used. You made some improvements to your work before half term and whilst this was good there were some areas you still needed to cover such as expanding on rendering techniques and watching your grammar and spelling. In addition you have failed to fully show any work for the pre-production part of this assignment, this needs to be done as soon as you can in order to give you further feedback on your work.